Looking for that home sitting in the country next to the creek to fish, then stop and look here in the Hegins Valley. 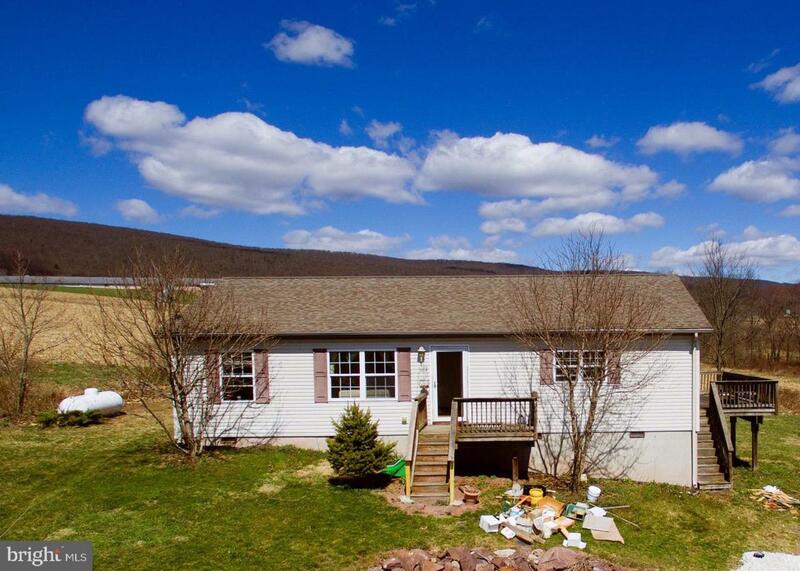 Home sits high enough to have great views of Barry Township. This three bedroom home is waiting for you. Easy living on one floor. Master bedroom has a full bath. Eat in kitchen with lots of space. Washer and dryer hook ups off the kitchen. Two small decks on the home. Off street parking for at least 3 cars.